A study conducted by The Milken Institute School of Public Health at George Washington University determined the death toll to be 2,975, a figure accepted by Puerto Rico Gov. Ricardo Rosselló, and far beyond the previous official count of 64. FEMA Administrator Brock Long wrote in a letter to Democratic Sen. Elizabeth Warren of Massachusetts that there were 2,431 applications for funeral assistance from Puerto Rico as of July 30. Just 75 have been approved by the Trump administration so far because of eligibility questions. 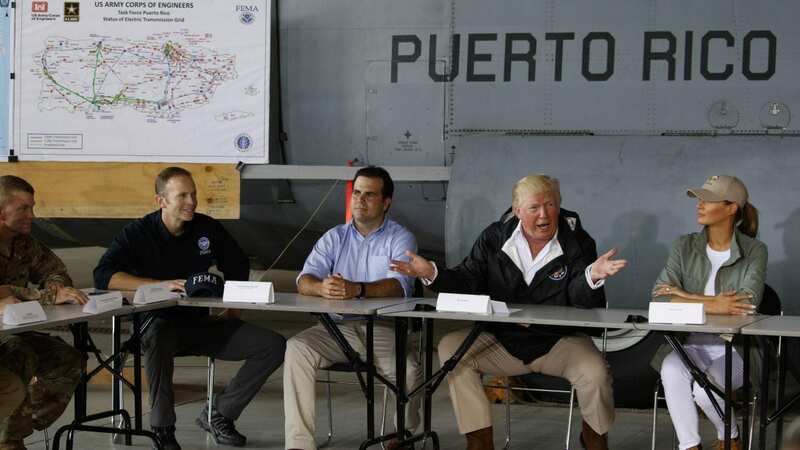 On Tuesday, Trump claimed his administration’s efforts in Puerto Rico were “an unsung success,” despite criticism that the federal response to the storms was slow. Some homes had their power restored only this month, a year after the hurricane.